Lane was basically the TV character Dexter except she hasn’t killed anyone…yet. Lane has urges and shortly after the beginning of the book she begins acting on these urges but she is still keeping herself in check…sort of. Lane was a dark and distant main character. She does think that she may be a serial killer though so you kind of expect her to be this way. Still, it was hard to connect with her. Her personality also made her relationships with family members and a love interest rather strange. It was actually the relationship between Lane and the love interest that caused me to rate this book three rather than four stars. I didn’t care for how it was handled and found Lane’s responses to relationship issues unbelievable. It was like one second Lane was forcing herself to pretend like she cared and then she would actually care, but only the tiniest amount. I enjoyed the main storyline about the Decapitator and how the murderer was somehow connected to Lane. The mystery kept me turning pages and I was guessing who the Decapitator was up until the last few pages. The twist really surprised me! 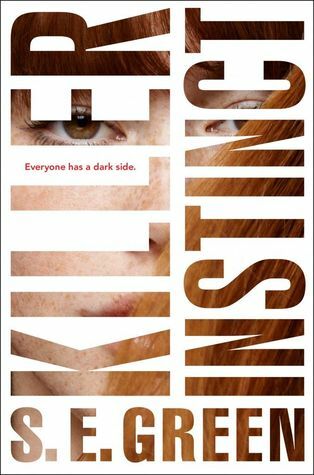 Overall, Killer Instinct was very Dexter-esque and while I enjoyed the TV show I’m not entirely sure it worked to have a YA Dexter. To believe that Lane had so much access and exposure to crime required readers to suspend disbelief. That being said I did find the decapitator storyline interesting and enjoyed this read. I enjoyed this book. I agree the romance wasn't up to par but it was good. Really creepy. I had a hard time in the beginning dealing with her urges but I got over it. great review. Sounds like a really interesting book, but I can already see how some of your points would make sense. I love Dexter, and Hannibal! But it would be a difficult thing to pull off in YA.